Hey Folks I am pleased to announced that I am brand ambassador of International brand Payoneer in India. I was hired by Payoneer in April 2015 to market their brand in India market. There is one more partner of mine who is brand ambassador of Payoneer she is Chitraparna Sinha, founder of Esmee Network. Both of us cracked the deal in April 2015. 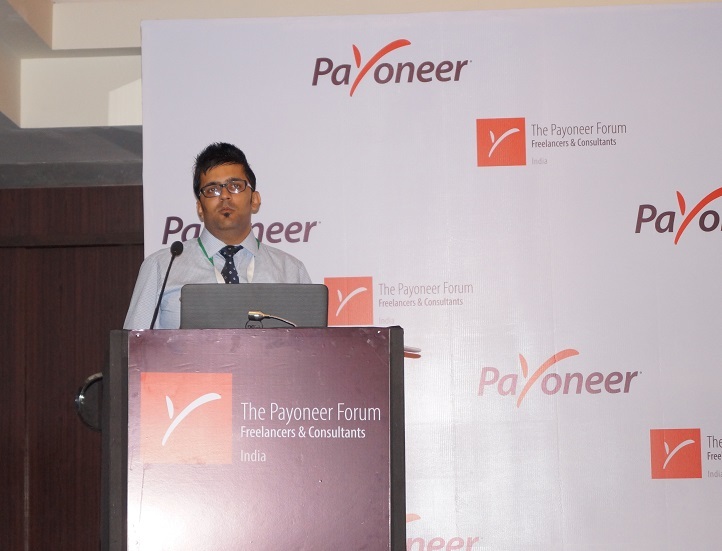 We recently organized the first Payoneer Forum in Mumbai, India. The forum brings together local freelancers, professionals, entrepreneurs and guest speakers to discuss several topics related to India and global business trends. We will be organizing more Payoneer forums in India. I spoke about how to start your freelance business and how to grow your freelance business. This presentation was liked by the attendees there and I was happy that many of them want to start their own business. I thoroughly enjoyed answering queries of all attendees. 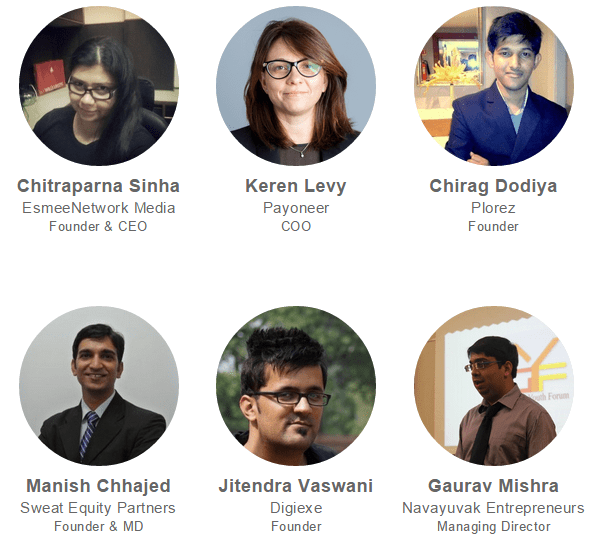 List of speakers at Payoneer Mumbai 21st April 2015. Payoneer Forum was successfully organized by us and Payoneer team appreciated our efforts. There will be more upcoming Payoneer Forum meets in India. So stay tuned for it. Increase sales: you can definitely increase your sales by working with me. I will pitch your product to targeted audiences. Build brand equity: I can build brand credibility in eyes of your customers, which help to increase in brand trust and increase in sales. Demonstrate value in your product(s): I will pitch your customers why your product is better than your competitors. Marketing: I will market your product on social media channels, events, tech shows & other big networking meet ups. Support: I will provide you my 100% support in order to ensure that our cooperation stay healthy. I will available on phone, email & chats to assist you at my best. Super stuff on online money transfer services like Payoneer. It has got established reliable networks internationally. I am proud to say I am a Payoneer user. Great article, once again! Congratulations for being the ambassador of payoneer in India. Even if I did not used anymore my Payoneer card but still I’m prod to become one. Awesome! Congrats bro, you’re worth it. Though I’m not an Indian resident, I’m happy for you. Cheers. And don’t forget to share your skills with us. does payoneer supports the master card now? Jitendra sir, I am from India and I don’t have credit card for advertising product on Facebook. Can I use Payoneer for Facebook ads. Sir, Is there any work around to achieve this? As Facebook not accept Indian Debit cards. Congratulations Jitendra on your success! You have made us all proud. Keep up the good work! Congratulation for becoming brand ambassador of International brand Payoneer in India and all the best to you and Chitraparna Sinha for future..this is all because of your efforts..
Congratulations this should be a great step up success for you. Congratulations Jitendra for this achievement. Congratulation Jitendra da, It’s really great achievement & a good news for all Indians. Hope, you will be a successful man in this field. 🙂 Best of luck, dada. Can I withdraw cash from payoneer debit card in india ? if yes, can i transfer cash to another payoneer account in india ? This is really a good news and I’m very happy for you guys. Payoneer is a very great and notable company therefore, working for them will indeed bring a good reward. I already have an account with them though, have not been using them for awhile now. Thats awesome Jitendra, I think payoneer has done a great job in selecting their brand ambassador given your skillsets. Im sure its a convenient way to withdraw money Internationally. All the best..